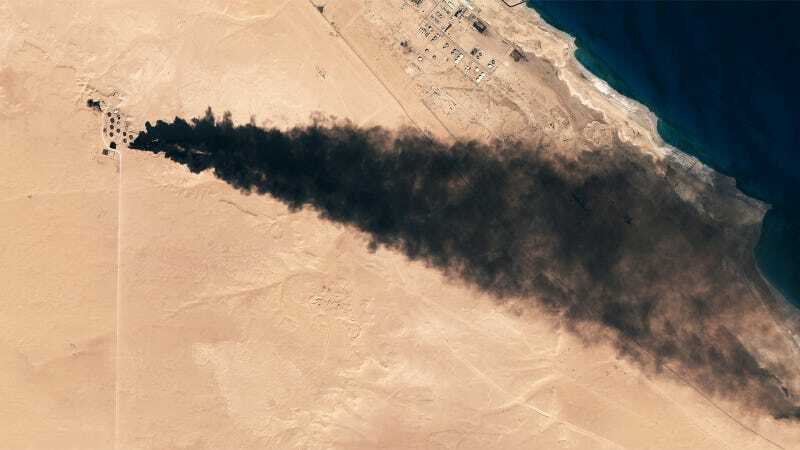 These images of massive black smoke plumes were captured by satellites, after battles at oil production and storage facilities in Libya between January 4th and 6th. The thick poisonous smoke looks troublesome even from space. According to several news reports Islamic State (IS) shelled two oil terminals near Sidra and Ra’s Lanuf, on the coast of the Mediterranean Sea between Sirte and Benghazi, damaging five oil storage tanks. These photos show the direct environmental damage caused by Islamic State militants. The Moderate Resolution Imaging Spectroradiometer (MODIS) on NASA’s Aqua satellite captured this photo at 2:05 p.m. Libya time (12:05 Universal Time) on January 6.